Timothy John Ryan is the latest to join the list of candidates for the position of President of the United States. He currently represents Ohio's 13th congressional district. 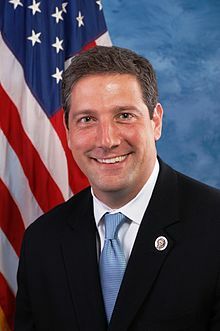 My impression of Tim Ryan is that he is a Moderate democrat. My research has not turned up a mention of the Green New Deal. His emphasis is on workers like his constituents in Ohio. Values expressed are wages, pensions, healthcare, and dignity of work. “We need to immediately get back on an economic message of how we're going to help working class people with their health care, environmental issues, jobs, jobs, jobs, wages, wages, wages,” Ryan said. He made a similar reversal on gun policy after the Las Vegas mass shooting in 2017, breaking publicly from the National Rifle Association— which had previously given him A ratings — and announcing that he would take the roughly $20,000 he had received from its political action committee and donate it to organizations seeking stricter gun laws. He is also a co-sponsor of Representative Pramila Jayapal’s Medicare for All bill.